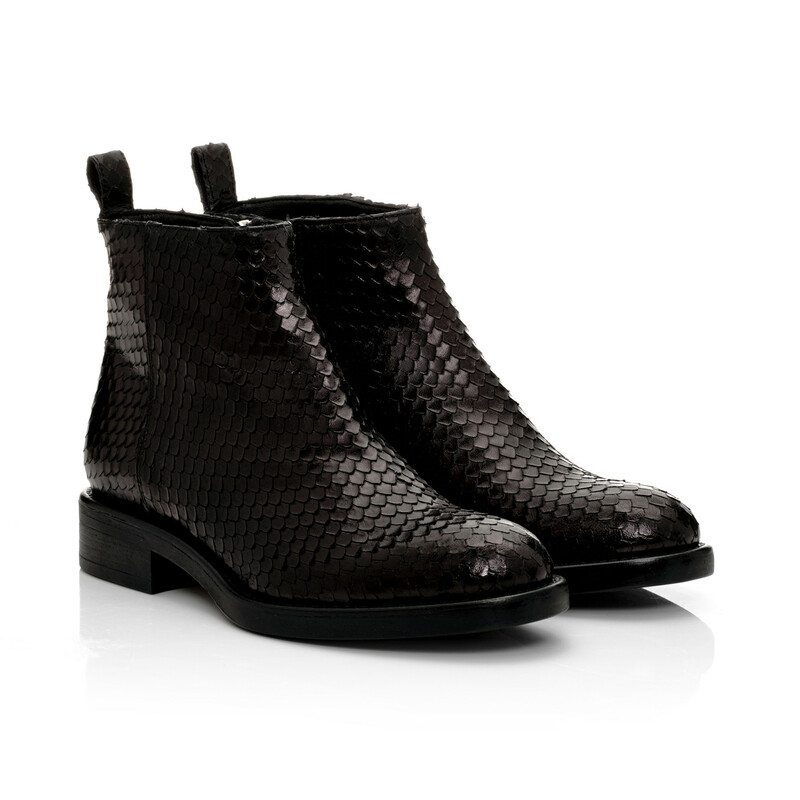 Elegant flat bootie in black python printed leather. 100% leather. Leather sole with rubber cover. Fits true to size, take your normal size. 1 x Python Print Boots was added to your shopping bag. 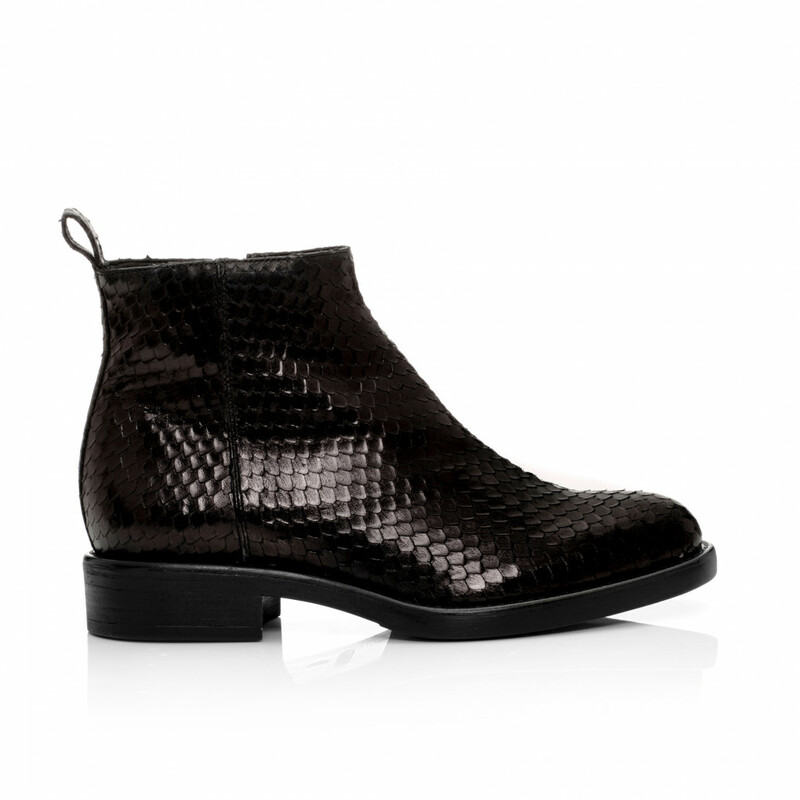 1 x Python Print Boots was added to your wishlist.